Is Ocarina of Time Still The Best Entry for Zelda Newcomers? 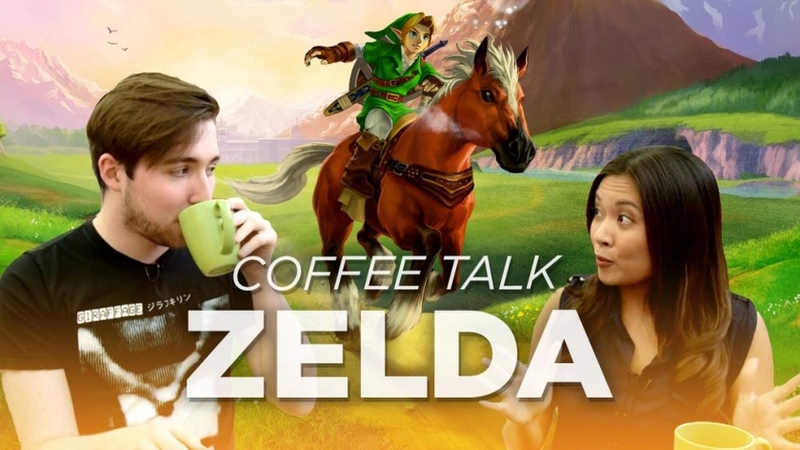 Nick Robinson of Rev3Games, one of the top resources for video games on YouTube, sat down with Chastity Vicencio to discuss Ocarina of Time in this week’s Coffee Talk. Chastity revealed that she has never played the game before and finally decided to pick up the 3DS version of the title. In fact, the only other Zelda game that she has played was A Link to the Past. However, the discussion spends little time on Ocarina of Time. After talking about how far into the game they are, they hit on topics from other titles in the series and why it’s an exciting time to be a fan of the Zelda series. Zelda series stand against the test of time. I could get into a debate about the value of a series like Zelda in a time where so many games are repeats with a different number, but I can already smell the hate comments just by mentioning it. What do you think? What games in the series do you feel are just as good as the first time you played them? What game do you think is the best of the series for a new player? Are there any games that you want to catch up on before Zelda U hits next year? Let us know in the comments below.